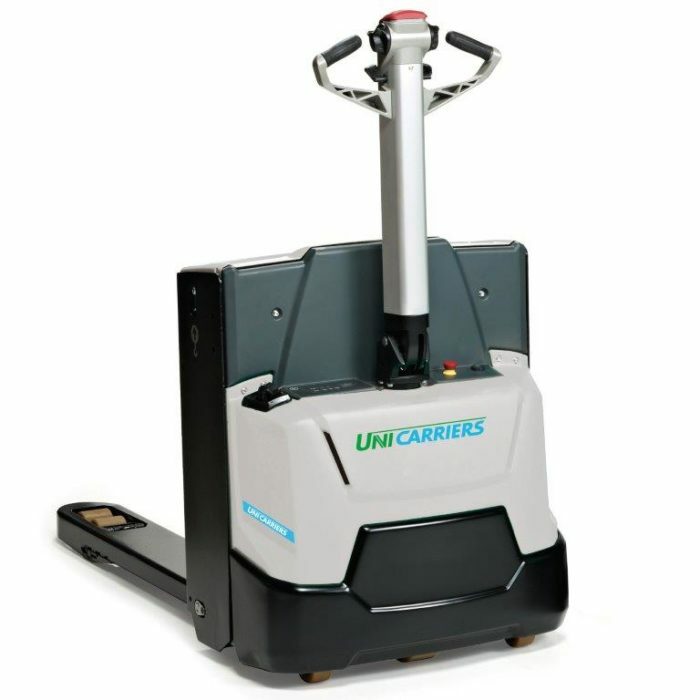 With the MDW and the MDE, UniCarriers is introducing a pedestrian pallet truck series with a central tiller arm for the first time. 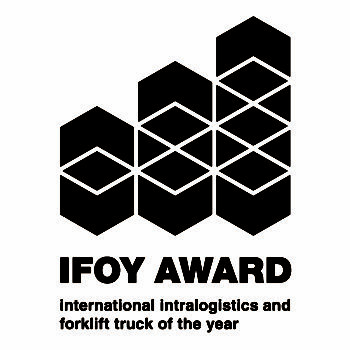 Thanks to a lift height of 220 and 735 mm, market-leading in their class, these forklift trucks can also provide safe handling of goods on steep or uneven surfaces. Suitable for use both indoors and outdoors, the new pallet trucks are available from Direct Sales and UniCarriers dealers now. 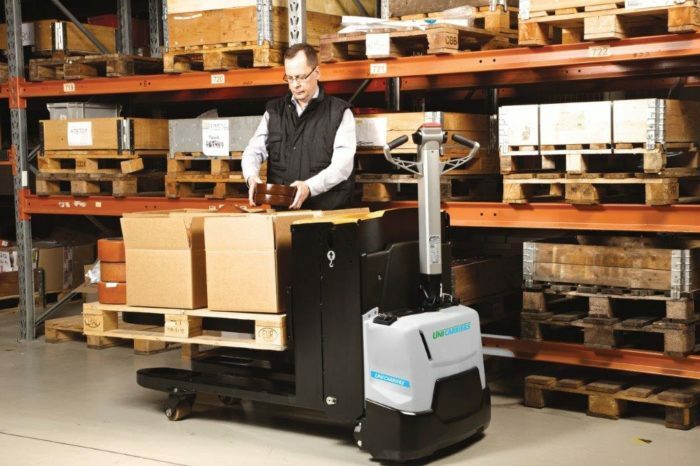 Compact pedestrian pallet trucks offer an exceptional versatility and an extensive variety of uses – from replenishing supplies in production areas to order picking and internal transports over short distances. UniCarriers now offers a very wide product portfolio in this key market segment. The MDW and MDE are included in the portfolio to offer two compact models with a central tiller arm alongside the existing ones with tiller arms off centre. These new models feature ergonomically shaped hand grips to ensure slip-free steering of the truck. The key operating controls are positioned within immediate reach of the handle. 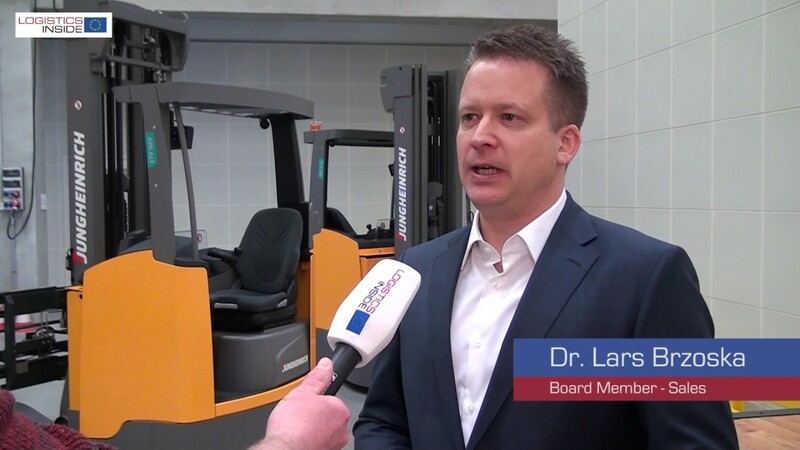 The MDW is launched as a regular pallet truck with a maximum speed of 6 km/h and load capacities of 1.6, 1.8 and 2.0 t. The lift height of 220 mm is market-leading for the pedestrian pallet truck segment. 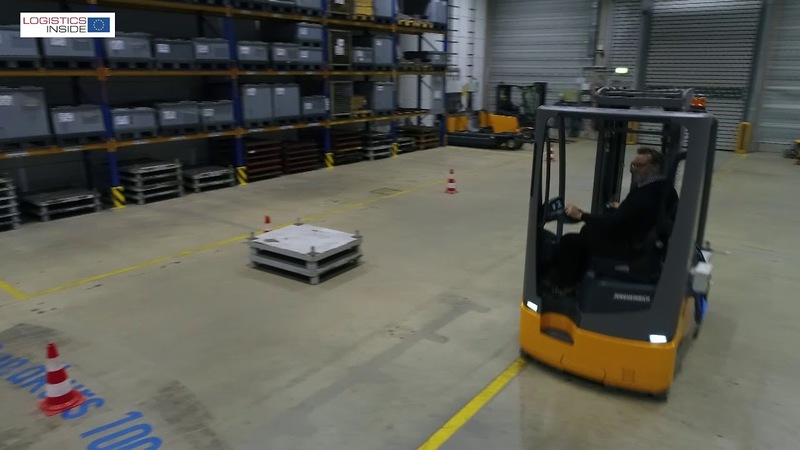 The MDW handles goods easily and safely on steep ramps and uneven surfaces, even when pallets are damaged. With its option of 375 Ah battery capacity, it is an ideal solution for loading and unloading trucks rapidly. The MDE is able to handle 2.0 t on the straddles and features a lift height of 735 mm with a capacity of 700 kg. This allows users to adopt an ergonomic posture during order picking jobs. Both truck variants feature two different performance modes, which can be activated with the key switch. 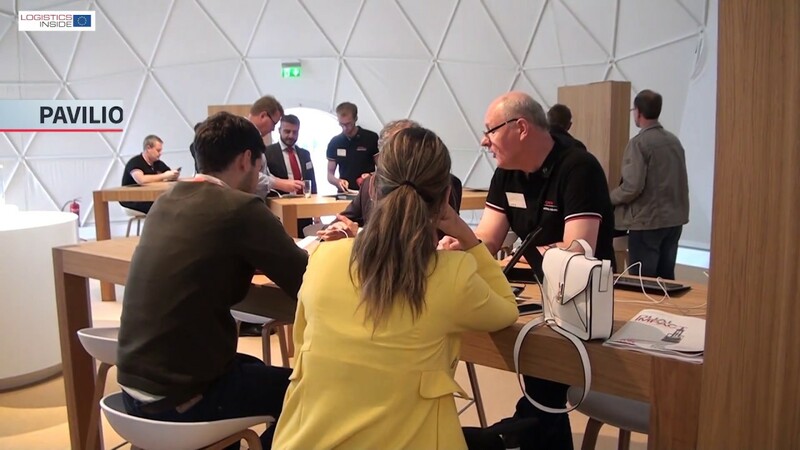 The trucks’ basic configuration can be supplemented with an extensive package of options to tailor the trucks to their specific use. 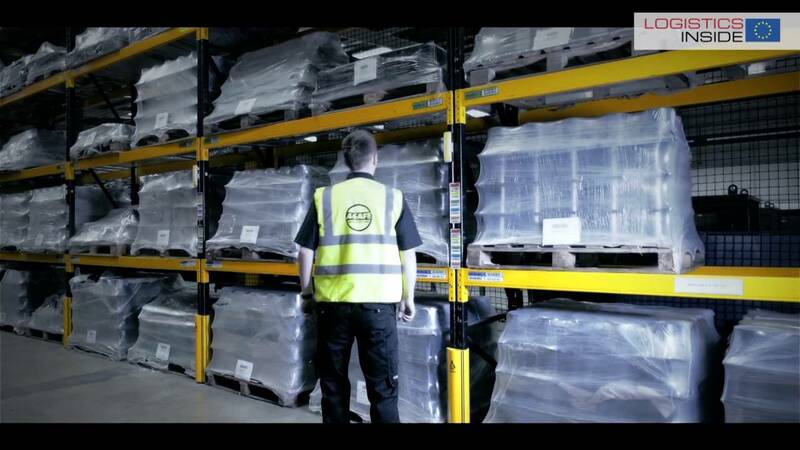 Additional equipment includes a load backrest, LED working lights and cold store equipment for safe working practices down to temperatures of -35 °C. An equipment bar is available to attach accessories such as bottle holder, document holder and computer holder.